Note that this is more of a how-to guide. See the post above for cupcake and frosting recipe recommendations. Optional decorations (found at any craft store): Edible turquoise shimmer powder / disco dust, mermaid cookie cutters, light blue or turquoise fabric or mermaid decorations. On cutting board, place the watermelon on its side and cut off 4 inches from one end of watermelon to provide a sturdy base. Cut the remaining watermelon in half lengthwise. Hollow out both halves of the watermelon, reserving watermelon pieces to dice up for serving or cutting out mermaid shapes. Use the dry erase marker to trace a mermaid tail freehand lengthwise across one entire half. With the knife of your choice, carefully trim away to form the outline of mermaid tail. Use the channel knife to form scales and details. Use pencil-sized dowels to secure the mermaid tail to top of base. 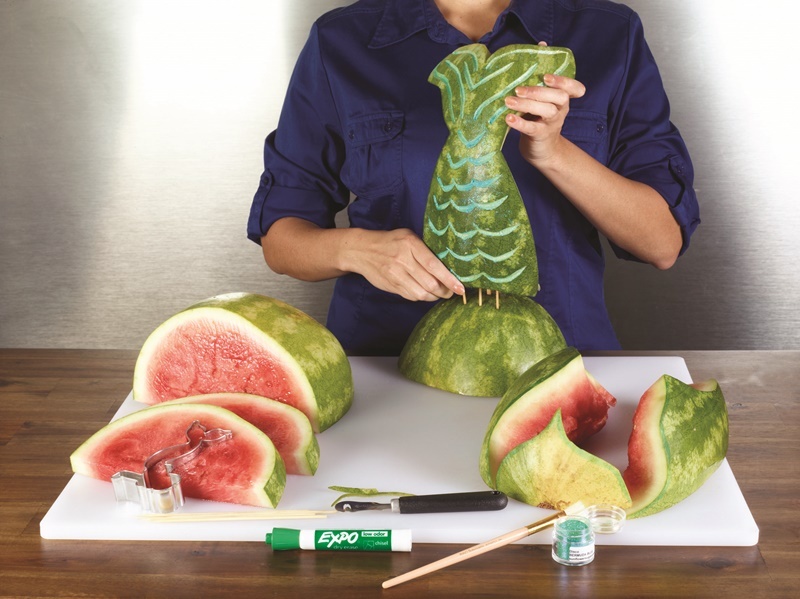 Cut the watermelon flesh into mermaid shapes with a cookie cutter or knife. Swirl the frosting with some of the edible turquoise shimmer powder or natural blue or turquoise food dye (you can add just a little yellow or green dye to a bright blue to give it more of a sea effect). 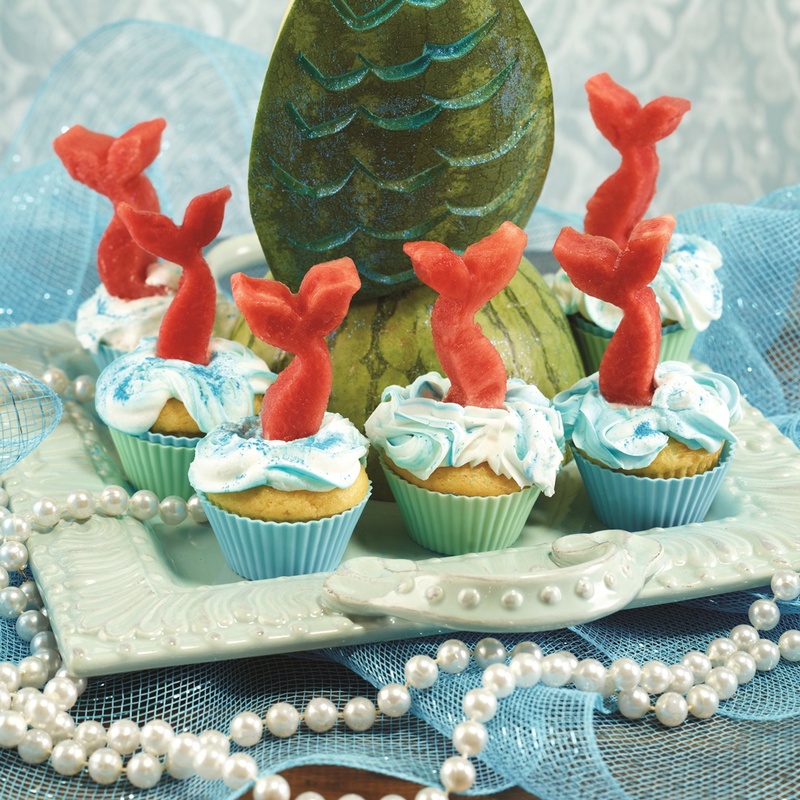 Top each cupcake with a mermaid tail.